Are you spending a lot of time at the gym trying to keep your ripped abs and biceps in top shape? All that effort can still head easily downhill. Clearly, a healthy diet and a balanced lifestyle are the first steps to take full advantage of your training efforts. 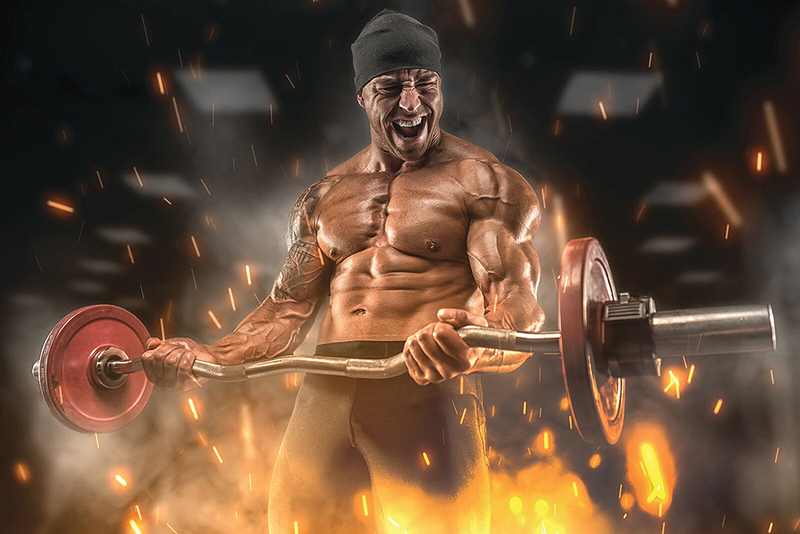 However, there are certain supplements and other components that can assist you in maintaining that hard-earned muscle mass without having to the use other methods like steroids. Here are 3 optimal ingredients for best muscle retention. These also target eliminating fat, which drives muscle building and retention. If you want to get ripped, you have to lose that fat surrounding those protruding muscles to aim for the lean toned appearance. Remember that you may also lose muscle mass if you do not train regularly. For that reason, these ingredients are good together with a firm training program if you want to see incredible results. Boosting your body mass are really important when sticking to a certain training regime. Protein powders can be a great source of losing weight and building musical mass. If you want to tone and bulk up, ensure that you add one of Aussie Bodies protein powders, 100% Whey, that’s high in amino acids for maximum muscle growth and repair. This can be taken as an addition to your training schedule and can be mixed with water or milk to provide a fast and easy source of protein and other nutrients. There are also other specific supplements that can also assist you retain that hard-earned muscle mass from this group of Protein Supplements. Whey Protein Isolate Powder from Nutrients Direct concentrates on muscle building and endurance and will accelerate the bulking up faster. At the end of the day, Protein is vital to structuring and retaining muscle mass. During training, it’s essential to be eating about 4 to 5 small meals a day when undergoing a training regime. Protein powders are just as essential as they contain low carbs. A powder should provide a decent dose of protein. Whey protein is very effective as it contains mostly pure protein. Ensuring you have all the energy you require before beginning a workout is crucial. Protein bars are important and can give you energy for muscle building, fat loss, and workout recovery. But let’s face it, nothing can ever replace the nutritional perfection of wholesome foods. Though a protein bar can provide a high-quality, nutritious snack and you don’t have to feel guilty about have these. Aussie Bodies, Protein Bar ProteinFX Super is probably one of the best on the market today. Made from a protein blend, it’s made from high-quality whey and milk protein isolates. ProteinFx Super Sustained Energy Bar is filled with 27grams of high muscle building protein which comes predominantly from peanuts and also fibre that has been shown to reduce hunger and increase digestive health. A Glutamine ingredient is a vital amino acid which makes up 60% of your amino acid pool within your body. It’s great for you because Glutamine is used to heal muscles, strengthen the immune system and increase growth hormone levels. It is crucial for muscle restoration, building and upkeep of lean muscle mass. A must for body building! Maintaining muscle mass is a combination of all the above and a serious training schedule together with a healthy, balanced diet and sleep and a few supplements that will provide you with the results you’ve been envisaging for ages. Just bear in mind that you must consider taking these ingredients/supplements if you are healthy and do not suffer from any serious medical illnesses. If you’re unsure as to whether a supplement is right for you, check in with your personal trainer or a health care professional.